The ‘Great’ Debate: Is it OK to wear Disney shirts to Universal and vice versa? 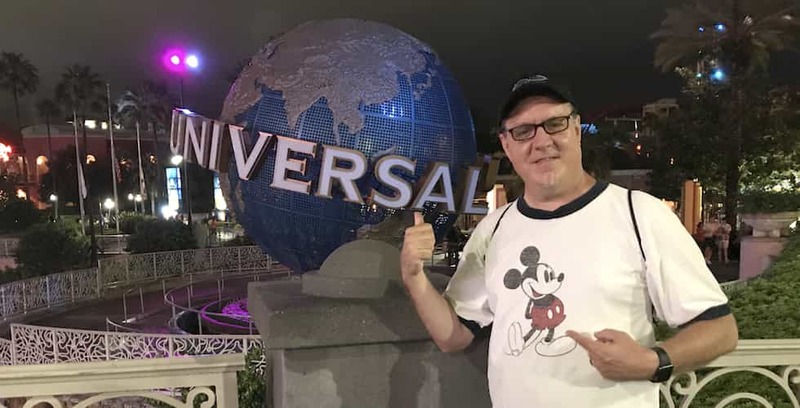 Attractions Magazine Owner Matt Roseboom wearing a Mickey Mouse shirt at Universal Orlando – Gasp! – Is that OK? Photo by Mike Kerrigan.